Captain America: Civil War clocks in at a hearty 146 minutes, and for 17 of those it's the best movie in the Marvel Cinematic Universe. Set at an airport in Berlin, the sequence features a spectacular superhero brawl that perfectly illustrates why comic movies are so thrilling. There's humor, excitement, suspense, and several truly jaw-dropping moments—one in particular involving Ant-Man (Paul Rudd). And the craziest part? This battle is just a small part of what makes the movie so good. What ultimately makes Captain America: Civil War such a success is how it manages to balance entertainment and emotion with good storytelling. There comes a moment in the movie when Captain America (Chris Evans) is reminded never to back down from his beliefs, even if the world is telling him to move. Well, never does Civil War feel like it makes compromises simply for the sake of superhero mayhem. Things happen for a reason and never are these characters painted as one-dimensional brutes. Picking up after the events of Age of Ultron, we find Cap, Black Widow (Scarlet Johansson), Falcon (Anthony Mackie), and Scarlet Witch (Elizabeth Olsen) in pursuit of their old pal Crossbones (Frank Grillo), who threatens to unleash a dangerous biological weapon upon the world. I won't reveal what happens, but suffice to say the team's actions lead to the deaths of innocent civilians, shattering the already delicate image of the Avengers. This sets in motion a call by world leaders for Cap, Iron Man (Robert Downey Jr.), and the rest of the team to sign a document called the Sokovia Accords, which would require a global panel to oversee the team's activities. For Tony Stark, who accepts responsibility for Ultron and other poor life choices, the decision to submit is a no-brainer. Cap, meanwhile, refuses to acquiesce; he knows what bad government can do, and while he acknowledges the pain and suffering the Avengers have inflicted, he still feels they're best equipped to act on their own. I initially thought the debate would be pretty black and white—Team Cap all the way!—but I found myself frequently bouncing back and forth between both sides. While the Accords act as a tight plot device that divides the team early on, it's not until a separate event occurs that we get to the real crux of the story. Namely, the relationship between Cap and Bucky (Sebastian Stan); it's here the story becomes much more intimate, adding a believable emotional weight that contrasts well with the movie's political philosophies. When Bucky is accused of committing a terrorist act, Cap's loyalty to his old friend is tested. Is Bucky really still the brainwashed Winter Soldier? Or is he the guy Cap knew back in Brooklyn? This, too, is much more complex than it sounds, and, as we quickly understand, is crucial to Civil War's story. As much as it is about the two sides bickering at one another, it's more about finding the strength to do what's right. So who is right? Well, everyone. When decisions are made, there are very real repercussions, making you feel for the characters as they begin to understand the weight of their actions. Tony, in particular, is in a perpetual somber state, suffering from regret over his actions spanning all the way back to the first Iron Man. It makes for compelling viewing, and never do motivations feel forced or weak. With more nuance than a Shakespeare play, it's tough supporting just one side. That's good storytelling. You'd think with 12 characters in one movie, something would get lost in translation, but Civil War does a terrific job of giving every character a platform. Bucky struggles with his past as the Winter Soldier, while Scarlet Witch feels lost in a world where everyone is terrified of her powers. Vision, meanwhile, goes to great lengths to assimilate to societal norms (using doors, cooking, wearing sweaters), providing unexpected comic relief. That's another thing that makes Civil War so enjoyable: It's funny! Like, really funny. 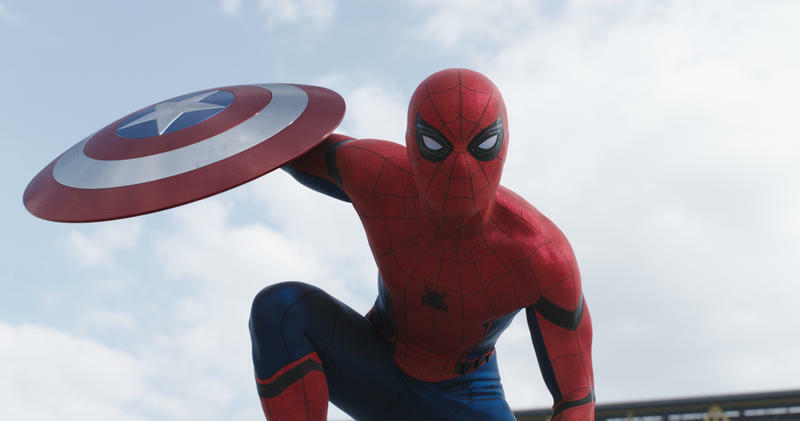 Spider-Man (Tom Holland) provides much of the movie's best lines, but there are a few other standouts, including one scene involving Captain America, Falcon, and Bucky. There are a lot of small, fun moments like these that add some much-needed levity to the story. Of course, the real show here is the introduction of Black Panther (Chadwick Boseman) and Spider-Man, both of whom are making their long-awaited debuts in the MCU. Without a doubt, these two characters belong among the Avengers and feel like perfect additions to the cast of superheroes Marvel has accumulated over the past few years. Spider-Man is curious and effervescent, while Black Panther is regal and diplomatic, commanding a respect with his presence. Although they appear out of nowhere, the two feel properly formed and immediately become important not just for the events in Civil War, but for the larger universe. But as good as Spider-Man and Black Panther are, I'd still give the MVP to Paul Rudd's Ant-Man, who is as charming as he's ever been. He's not in the movie for very long, but he's involved in the huge brawl at the airport, providing perhaps Civil War's most crowd-pleasing moment. I won't spoil it here, but you'll absolutely love it. 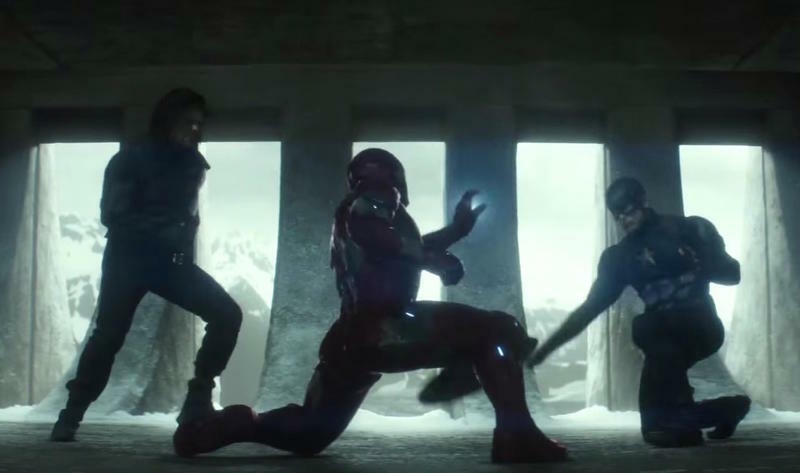 Best of all for Marvel, seeing these three characters onscreen leaves you wanting more. Luckily, all three are lined up to star in their own solo movies, beginning with Spider-Man: Homecoming next year. Other Marvel movies have come close, but never have these characters felt so fully realized on the big screen, and yet Civil War makes it look easy, almost effortless. Marvel has spent 13 long movies building toward this point and while not everything is resolved, the payoff is tremendously satisfying. You care about these characters and the decisions they make, and you come to understand how their actions affect the world they live in. And the decisions don't just affect the world, but themselves, too. It's heartbreaking to hear Scarlet Witch talk about being feared when all she wants is to be normal. I wouldn't call Captain America: Civil War the best in the MCU—I still think Guardians of the Galaxy and The Winter Soldier are better—but it's certainly up there. Daniel Brühl's Helmut Zemo, for example, never feels like much of a threat, and although he provides a compelling reason to be involved, his character's emotional investment doesn't quite pay off like the rest of the film. 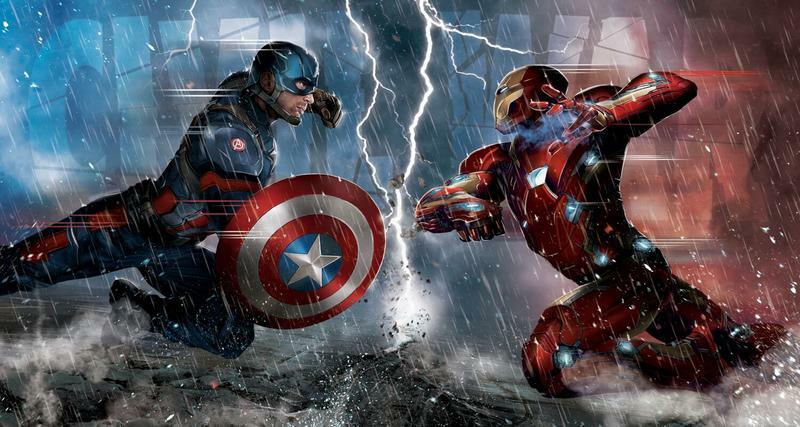 Still, Civil War is a miracle of a movie and provides an intriguing start to Marvel's Phase 3. These super people aren't just war machines who mindlessly topple cities, they're vulnerable, caring, complex humans who desperately want to do what's right. (Well, technically Vision is an android, but even he begins to struggle with human emotion.) That's what makes Civil War such a delight. Sure the action is great, and the addition of Spider-Man and Black Panther more than makes up for the absence of Hulk and Thor. But there's a satisfying emotional weight that makes you care about these characters more than ever. Something, I think, a movie like Batman v Superman: Dawn of Justice seriously lacked.